Olxam » PSUs » How much Marks / Rank in GATE for PSUs ? How much Marks / Rank in GATE for PSUs ? “How much GATE score required for PSUs ? How much GATE marks required ONGC, NTPC, PGCIL etc. ? There are many candidates who are preparing GATE exam for getting selection in PSUs like ONGC, NTPC, PGCIL, HPCL, IOCL etc. Every year there are nearly 30 PSUs recruit on the basis of GATE score. (1) Your branch of engineering (i.e., EE, EC, ME, CE). (2) Your category (i.e., UR, OBC, SC, ST). (3) Number of seats notified by a certain PSU for a particular branch of engineering in a certain year (i.e., 2019). (4) Number of total seats notified by all PSUs for a particular branch of engineering in a certain year (i.e., 2019). (5) Difficulty level of GATE paper in a certain year of your branch of engineering (i.e., 2019). Must Check : How much marks in GATE for IIT ? 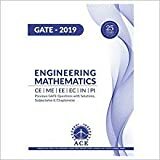 So, By analysing above points you will find that it is really a difficult task to tell you about how much marks one should score in GATE 2019 to get a call from PSUs ? Let me explain you little more clearly. 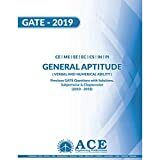 When you go through the marks obtained by GATE toppers in previous years you will find that toppers marks very either by some points or marks because it depends upon some factors like difficulty level of GATE paper, normalization of marks etc. Marks of some popular branch toppers of various years is given below. So from the above analysis we find that marks of topper vary year by year similarly marks required for getting selection in PSUs also varies year by year because it also depends upon various factors, some of them is written above. Here using the below tables you can get an idea about upto which GATE rank you can get a call from PSUs and what GATE score would be defined as good or bad for your performance in GATE 2019 examination. However we have provided many PSUs & Govt. Organization cut-off marks for various posts notified in previous years. You may check such PSUs & Govt. Organization cut-off marks using the link given below. Conclusions provided above are for General Categories. OBC candidates can multiply each of the ranks by 2 and SC/ST candidates can multiply each of the ranks by 5 to get a realistic view. PSUs interview shortlist criterion is 1:6 to 1:10 depending on the PSU and number of vacancy notified for a particular year. So if there are 50 vacancies total for a particular year & for a particular branch of engineering then they will atleast call 300 candidates for GD & PI. #Note : These are general statistics, most appropriate for the popular departments like Electronics, Computer Science, Electrical and Mechanical Engineering in their most popular and common courses. For more details you may check concern companies website. ♣ How to prepare for gate 2019 in 6 months ?